While looking for an option in SDN to trigger custom message (as per customer requirement) , found that different posts suggesting BTE or validation. This blog is to demonstrate the example on how to trigger custom error message in F110 and do not proceed for payment due to the error. There is a requirement that the payment run process should not happen when there is custom error. 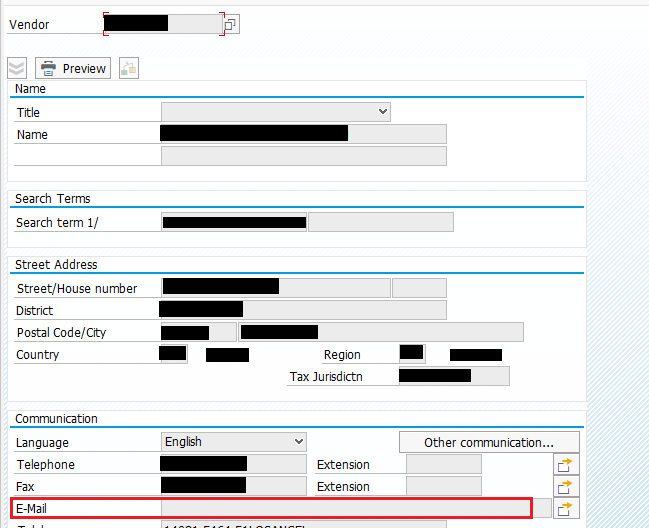 Here, this blog will cover the error that ‘ if the vendor email is not maintained’ then the F110 payment run will not proceed and will show the error. 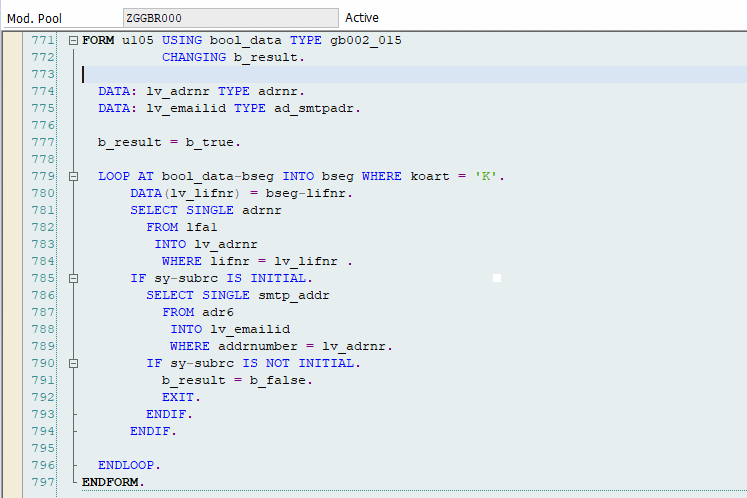 If the email Is not found then set b_result = b_false. 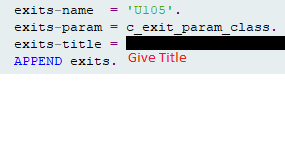 Below is the sample code for U105. 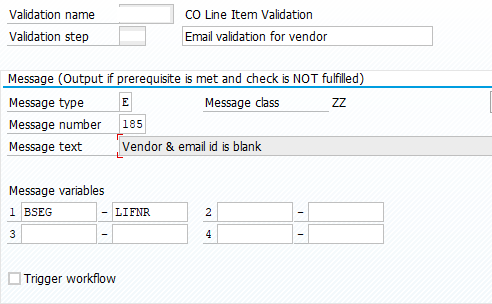 So all the config set up is done, now run F110 for vendor having blank email id. 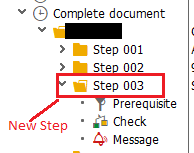 Now run F110 – steps , the blank email for vendor will come during proposal and it will be in error. Hope this may be of help !! Thanks..